Like boiled vegetables plunged into ice-water, the North wind has stopped Spring cooking. 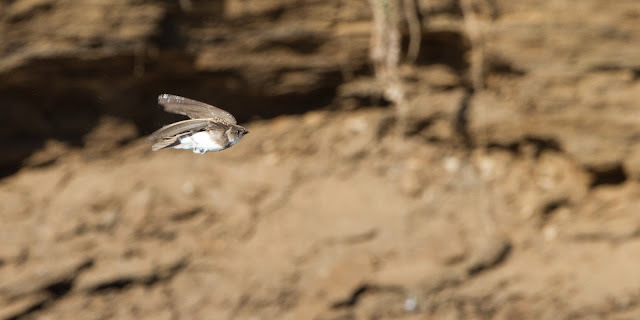 There are very few birds about; swallows are still a scarcity and some winter birds still hang on. So cold did it feel yesterday that I expected to look up and see whooper swans flying back South! It was a very mild week though, so a walk around the patch was sure to turn up animals that had arrived or emerged during the week. My first orange-tip butterfly of the year visited the garden on Saturday and takes my annual butterfly list to three (the other two being peacock and small tortoiseshell). Yellow wagtail are now present; Nick directed me to one on the muck heaps yesterday and another bird was seen along the river loop this afternoon. Aside from the legions of willow warbler and chiffchaff, there are very few warblers about so I was pleased to hear garden warbler in Langton yesterday. Typically elusive, I failed to even see the bird let alone photograph it. However, with blackcap also singing it was easy to identify. I think blackcap have more lengthy phrases with thrush like tones while the garden warbler plays a greater number of shorter phrases with more scratching and warbling. It's taken me years to distinguish between the two in the field, so these differences are very slight! Speaking of birdsong and warblers, I walked past a hawthorn hedge and heard a very quiet dribble of notes. 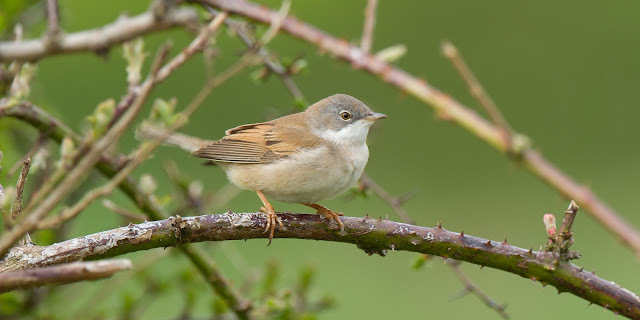 Another bird 'sub-singing' and this time a common whitethroat. Sub-singing is a fascinating behaviour that also goes under the name of plastic-singing or whisper-song. 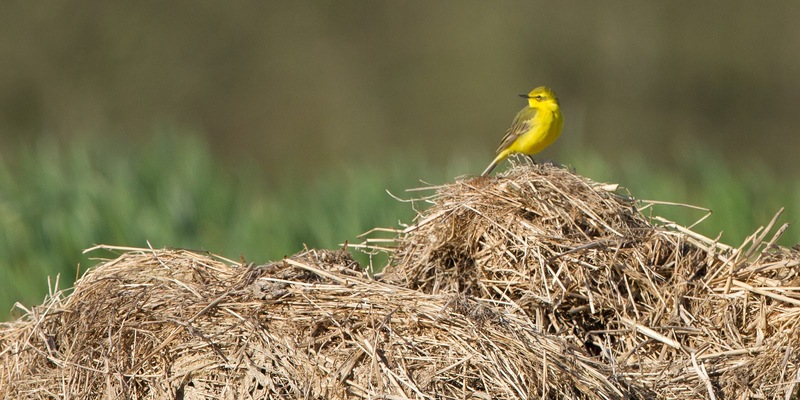 It's typically associated with first-time breeding birds in the Autumn after fledging and is thought to be juvenile birds practicing the song that will attract them a mate the following Spring. However, I've heard it twice this Spring already from summer visiting warblers... maybe they keep a lid on it until they've established where they're going to settle? I had my hide with me so covered up and sat waiting to see if I could photograph the whitethroat. 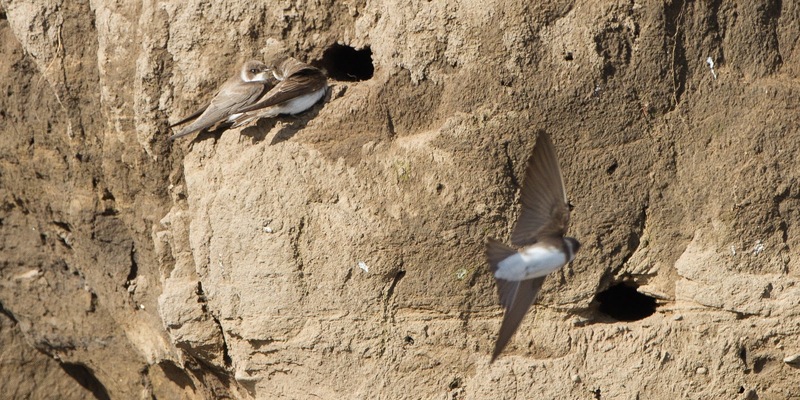 The bird behaved exactly as expected and remained in cover for nearly an hour before it poked it's head out. Then, when it was sure the coast was clear, it popped out onto a branch for an even better view. ...and I managed to grab a shot of this bird as it emerged from washing itself off in the river... the water droplets can just about be seen dripping from it's feathers. 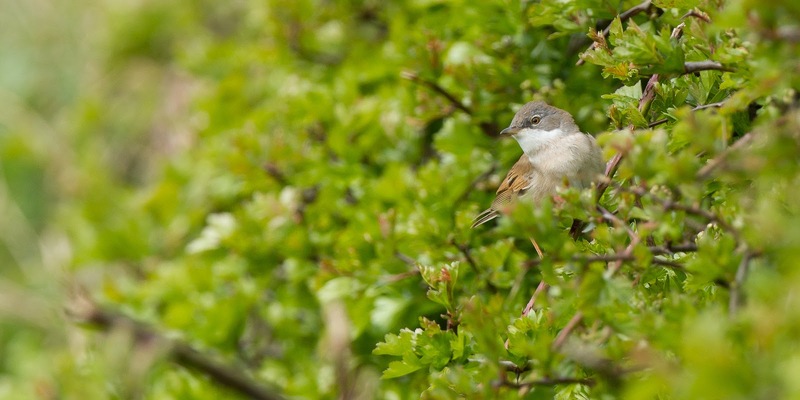 Lovely shot of the Whitethroat. Thanks Nick. Not an easy bird to photograph, even from a hide!